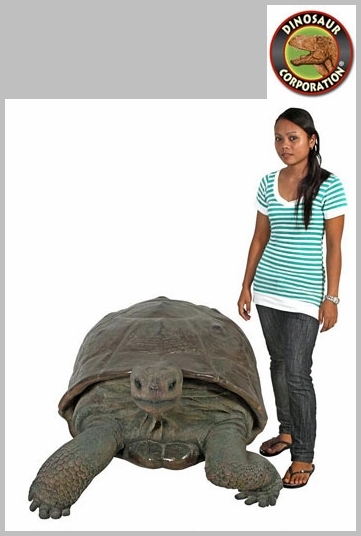 Galapagos Tortoise Statue Turtle Garden Sculpture. 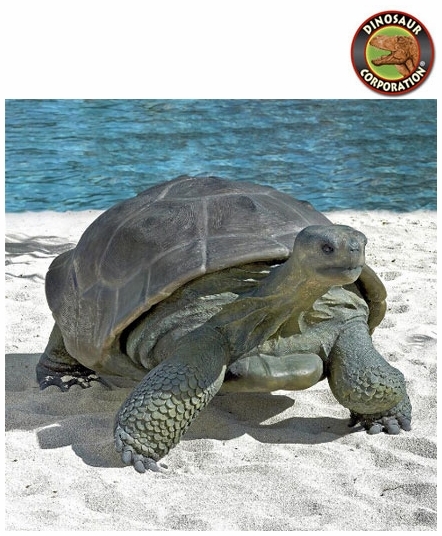 So realistically sculpted that he s likely to be mistaken for one of his living, breathing namesakes, this tortoise exudes the exotic feel of the Galapagos Islands! Our substantial, more-than-five-foot-long work of decorative art. This large-scale, display-quality sculpture transforms any home, garden, restaurant or hotel into something truly magnificent. * Size: 60�" W x 36�" D x 27�" H.